A controversial call to put honor at the center of morality To the modern mind, the idea of honor is outdated, sexist, and barbaric. It evokes Hamilton and Burr and pistols at dawn, not visions of a well-organized society. But for philosopher Tamler Sommers, a sense of honor is essential to living moral lives. In Why Honor Matters , Sommers argues that our collective rejection of honor has come at great cost. Reliant only on Enlightenment liberalism, the United States has become the home of the cowardly, the shameless, the selfish, and the alienated. Properly channeled, honor encourages virtues like courage, integrity, and solidarity, and gives a sense of living for something larger than oneself. Sommers shows how honor can help us address some of society's most challenging problems, including education, policing, and mass incarceration. 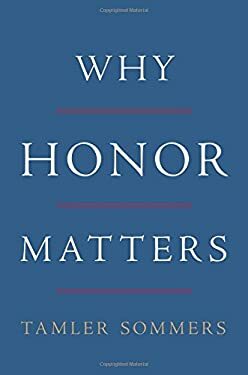 Counterintuitive and provocative, Why Honor Matters makes a convincing case for honor as a cornerstone of our modern society.